The fourth edition of the French Infrastructure, Urban Development and Real Estate summit (SIATI) took place on June 13, 2018 in Paris, where the most deserving public and private sector institutions in each sector were honored during the awards and dinner. Held at the Pavillon d’Armenonville, the event was attended by 650+ representatives of local communities, infrastructure funds and investors who gathered to discover how diversified, performing and innovative the projects conducted with a sustainable development approach could be. Despite strong competition, Mirova won “the best brownfield infrastructure strategy” award with Mirova Core Infrastructure Fund. This is first brownfield continuation fund dedicated to regulated infrastructure assets in Continental Europe. 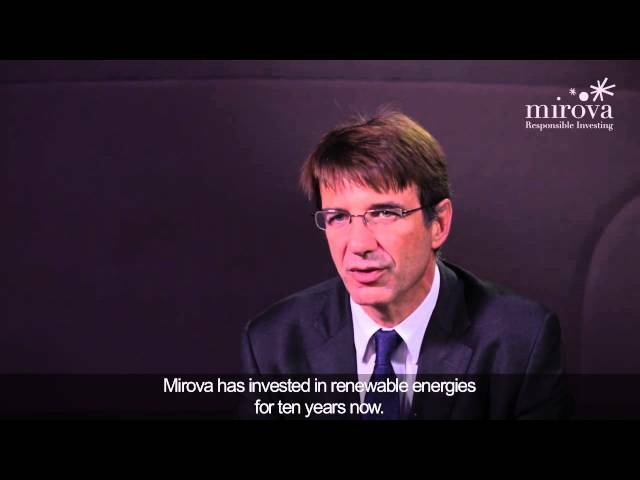 Launched in 2015, Mirova Core Infrastructure Fund hit its final close a year later with €700 million commitments – well-above its €500 million target size – secured from prominent European pension funds, insurance companies and funds of funds. To date, the Fund is fully committed and has invested predominantly in European PPP and infrastructure concessions, spanning from transportation to broadband networks, and a wide range of social infrastructure projects. ‘We are delighted to receive this award as it sheds light on the relevance of our investment approach and in-depth knowledge of the European infrastructure market. Our yielding strategy consists in building long-term strategic partnerships with industrials for sourcing, equity financing and operating core infrastructure assets generating stable and predictable income streams over their lifetime. With a 25-year buy and hold approach, matching the long-term cash flow profile on the underlying assets, we seek investment opportunities in mid-size projects within the Continental Europe’s mature brownfield market,’ commented Gwenola Chambon, Head of General Infrastructure Funds at Mirova. The SIATI’s yearly awards ceremony has a hundred of companies, investment funds and public operators compete against each other to win gold in their respective categories. The best sector players and representatives of the most innovative regions are shortlisted by the organizers and invited to submit a comprehensive application form, before being assessed and interviewed by a panel of experts who will choose the final winner. Mirova Core Infrastructure Fund has been approved by the CSSF, the Luxembourg market authority. The Fund’s investment objective, strategy and main risks are described in their regulatory documents. Its fees, charges and performances are also described in those documents as well. Investments in infrastructure funds are mainly subject to loss of capital risk. They are reserved for specific investors, as defined by their respective regulatory documentation.